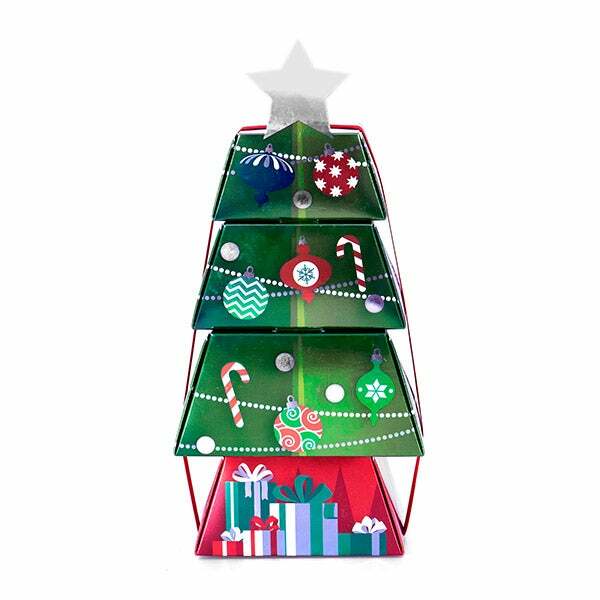 Christmas Ornament Gift Tower is rated 4.9 out of 5 by 14. Rated 4 out of 5 by BklynG from Simply Delicious Sent this Gift Tower to my cousin & his wife. All items were fresh & tasty , although some of toffee coating was on the bottom of bag. Was a nice gift anyway. Rated 5 out of 5 by Carol50 from Beautiful!! I bought this as a Christmas gift and im so glad i did, she loved the Christmas Tower. Rated 5 out of 5 by MRSART616 from Perfect Gift! I bought this for the aweaome staff at my apartment complex....they loved it! Rated 5 out of 5 by Kayda from AMAZING!!! We recieved this as a gift and loved evey bit. Dark chocolate is a favorite of ours so we enjoyed the high quality of this cute Christmas tree full of delicious treats. Rated 5 out of 5 by Mosley from Gift Tower Received Christmas Eve and my get and son in law delighted, stats product was fresh and enjoyable. Thank you. Rated 5 out of 5 by Jackie24 from Great Christmas Gift Idea! The tower I purchased was very reasonably prices and delivered on time. The family I sent it to enjoyed all the delicious goodies! There's no denying that when it comes to Christmas, it's all about classic tastes. That's why we hunted down our most classic holiday foods and brought them together in this Christmas Ornament Gift Tower! 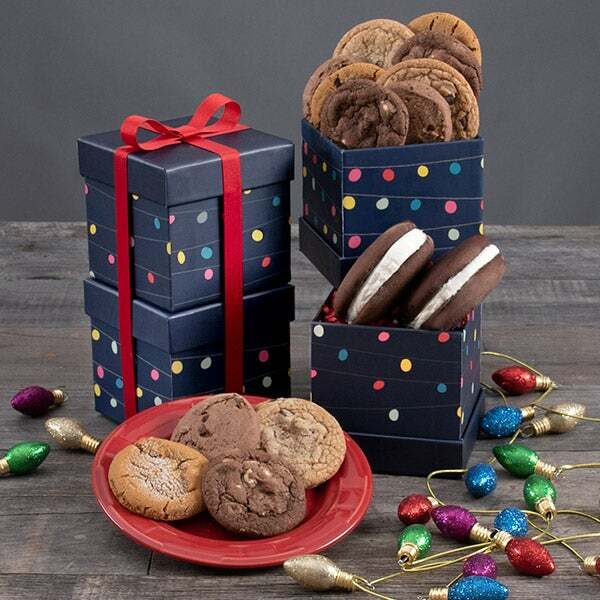 Inside four beautifully crafted Christmas tree and ornament boxes, we've arranged decadent gourmet treats, like smooth chocolates and chocolate almonds, creating the ultimate classic Christmas gift. Butter Toffee Peanuts by GourmetGiftBaskets.com - 5 oz. 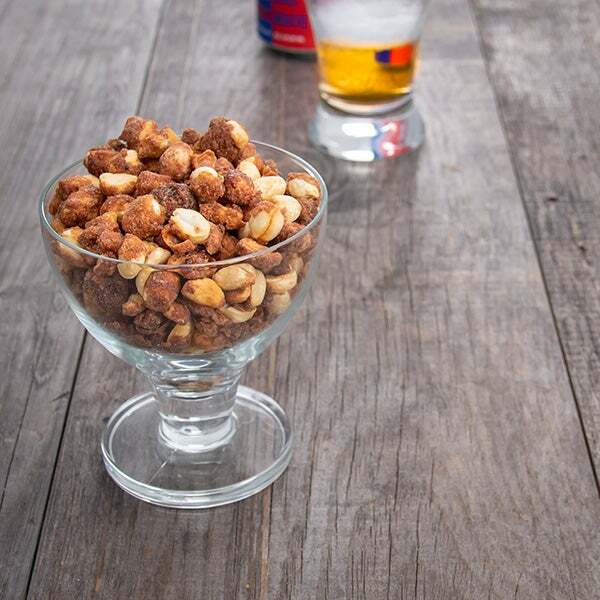 – Premium peanuts, covered in smooth butter toffee and then tumbled until fulled coated. 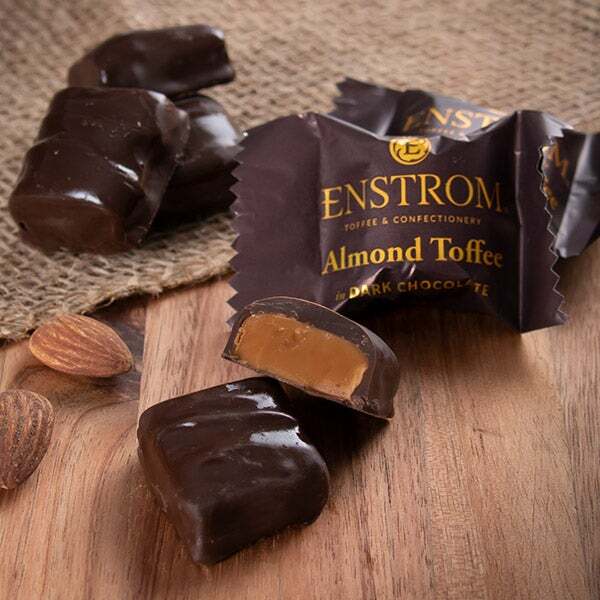 (2) Dark Chocolate Toffee by Enstrom - .5 oz. - Don’t miss out on these decadent treats as world-famous toffee is dipped in premium dark chocolate. 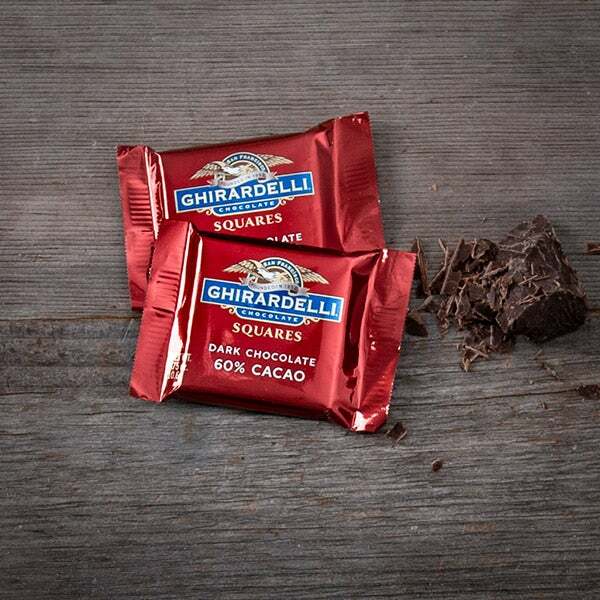 (2) Dark Chocolate Square by Ghirardelli - .375 oz. - Decadent squares of rich dark chocolate - perfect for that special someone with a sweet tooth. S’mores Pretzels by GourmetGiftBaskets.com - 5 oz. 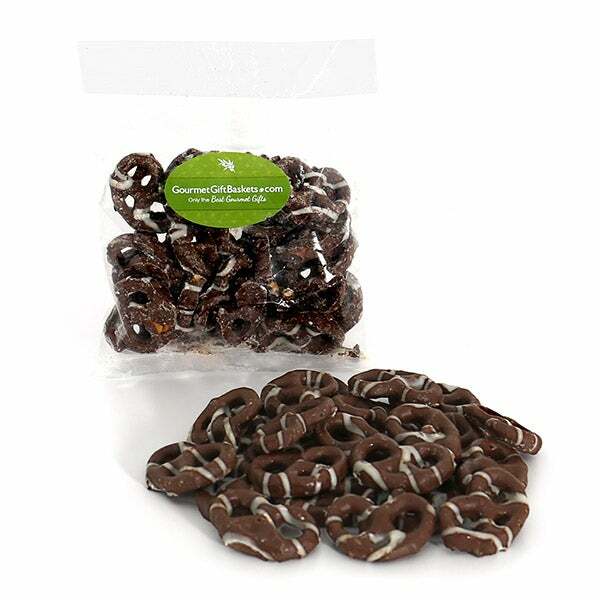 - Freshly-baked pretzel twists that are hand-dipped in a bath of gourmet milk chocolate and then drizzled with a generous amount of gooey marshmallow. 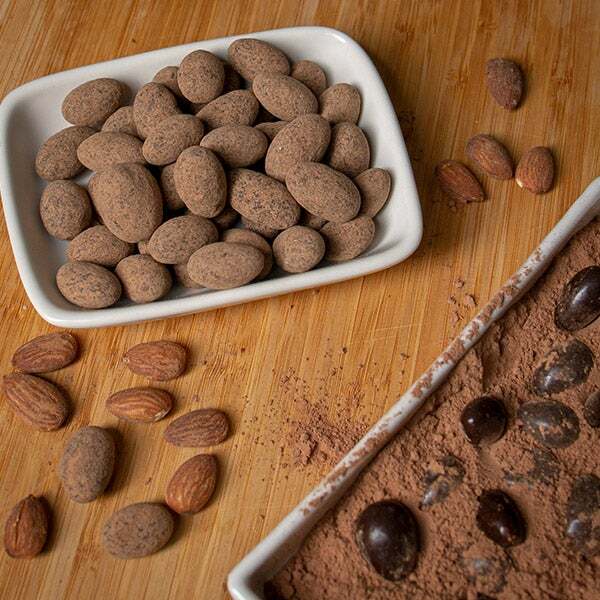 Dark Chocolate Cocoa Dusted Almonds - 6 oz. - Jumbo almonds that are drenched in rich dark chocolate and then dusted with a finishing touch of flavorful cocoa.